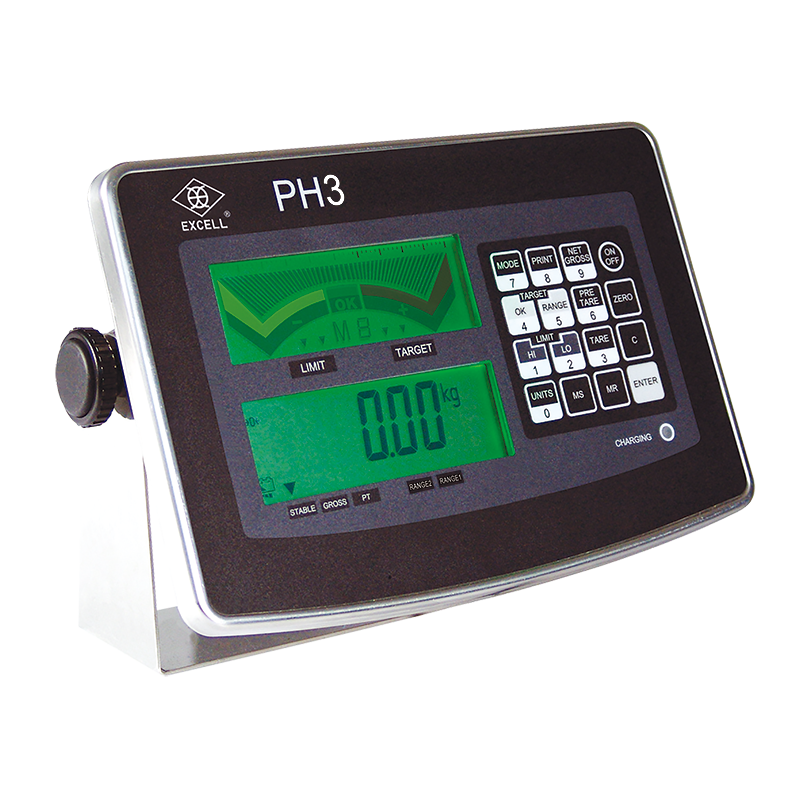 EXCELL today introduced a new IP68 check-weighing indicator, PH3, designed to integrate with weighing platforms of different sizes and capacities for high flexibility in weighing system and application customization. 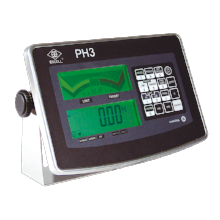 Operating the new PH3 is straightforward. A user-friendly icons of 10 preset settings, percentage display, limit/target oprating mode, pre-tare, net/gross, auto-backlight, auto-poweroff timer, all enables effortless operation. An adjutable digital filter is available to allow the user to supress weighing flucuations caused by environmental vibrations. Intrinsically hygienic and safe in 304 stainless steel housing structure, the PH3 is IP 68 compliant, making it ideal for harsh environments such as fresh produce factories or frozen food processors. "We're excited about the addition of improved operating efficincy, accuracy and reliability to the PH3," said C.C. Lo, President and CEO at EXCELL. "The new PH3 delivers excellent performance at an affordable price. It can handle a wide range of applications without sacrificing speed and accuracy." “We have designed these indicators to meet the practical needs of industry. They are robust, durable and easy to use, with the added benefit of IP68 rated 304 stainless steel enclosure for harsh operating environments or for heavy washdown environments,” said Jeff Chien, Vice President of Sales & Marketing at EXCELL. The RS232 and relay output allows you to output data from the weigh indicator. Whether you want to transfer weighing data to a computer or printer you need this optional module to output the data. The optional relay output can be used for filling applications. Relays assignable to batching operations are critical to improve your weighing process.